The Veeam Agent for Microsoft Windows Free is amazing. Let me tell you why. 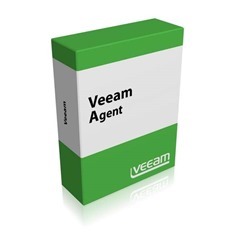 Veeam released its free Agent for Microsoft Windows (version 2.0.0.700). I’ve been using the Beta of the agent for a couple of months and the more I used it and the more I read on why Veeam introduced this tool, and how it fits into Veeam’s current technology and strategy, the more I want to use this tool; I feel it’s amazing. Now that Veeam has released the Agent, let me tell you why. I’m Dutch. so the promise of a free tool is something I applaud. My Dutch customers are on the front lines of achieving their goals with the least amount of financial resources. The Veeam Agent for Microsoft Windows Free fills this place with proud, not just for backup and restore purposes, but also for migrations and automatic development, test and acceptance environments. While the Veeam Agent for Windows can be used as a stand-alone back-up and restore solution for any Windows system on removable media, Of course, Windows and Windows Server come with the free Windows Backup tool and wbadmin.exe that offer the same functionality. 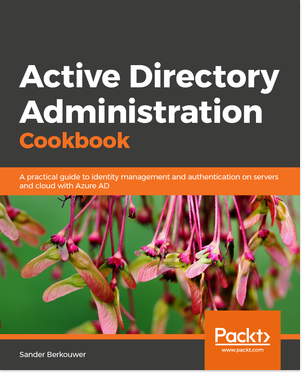 It begs the question: why would you use a 3rd party tool and go the route of integration testing, life cycle management and vulnerability management? First, the Veeam Agent for Microsoft Windows offers a feature that Windows Backup doesn’t offer: You can configure the agent to eject the removable media it just finished a backup on. In the current day and age of ransomware, this adds much appreciated additional data security. Another neat trick is that you can have the Veeam Agent start a backup automatically when you insert removable media you declared as valid backup media for the tool. There’s another setting that you can use to prevent backups by making it pause for a couple of hours or days. The free Veeam Agent for Microsoft Windows supports Windows 7, Windows 8.1, Windows 10, Windows Server 2008 R2, Windows Server 2012 and even Windows Server 2016. This is a big difference with version 1.5 of the free Veeam Endpoint Backup tool. The best part? The Veeam Agent for Microsoft Windows uses the same backup format all other Veeam products use. Backups created with the free Veeam Agent can be used with all of Veeam’s Explorers, so that one backup you created of your Microsoft Exchange Server can be used to restore as little as one single item for one single mailbox and that one backup of your Active Directory Domain Controller can be used to restore a bunch of user objects if you need them back. This works as long as you ran a script to stop the application service before you created the backup and started it again after the backup, because the Veeam Agent for Microsoft Windows Free doesn’t offer application-aware backups. The alternative is hours is isinteg.exe, but who what’s that!? Yes, you can even make backups to a Veeam repository backed by a licensed Veeam Backup & Replication (B&R) server. However, you cannot have both FREE and paid editions of Veeam Agents backing up to a Veeam repository at the same time. This offers the ability to use your Hyper-V and vSphere-powered virtualization platform with its tens, hundreds or even thousands of virtual machines and the Veeam Agent for Microsoft Windows Free on physical servers with the same backup repository. It may provide a seamless migration option from physical hosts to virtual hosts. That’s all fine and dandy, but when we add Microsoft Azure to the mix, we get into the situation where our minds get blown. Looking to migrate current physical workloads to Microsoft Azure? In this blogpost I’ve shown you why I feel the free Veeam Agent for Microsoft Windows is amazing! We’re using it for some amazing projects, too. The power and magic of the Veeam software allows our customers to backup and restore for free, but in the end they’ve always agreed to go for the licensed versions of the software after their migrations and Domain Controller emergency restores. Go ahead and download the Veeam Agent tot Microsoft Windows. For free.